Jandré Nieuwoudt is Communications Specialist, Internal and Social, Middle East and Africa. Jandré joined the team in October 2013, and is responsible for supporting the execution of MasterCard’s Communications strategy in the areas of Internal and Social communications and managing the MEA newsroom. 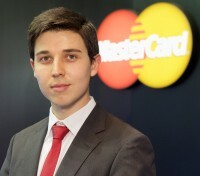 Jandré previously handled the MasterCard account at GolinHarris, MasterCard’s PR agency in Dubai, for more than three years. He handled MasterCard’s Middle East and North Africa day-to-day communications activities and helped develop external and internal communications materials, thought-leadership platforms and social media activities. At Mobile World Congress, MasterCard has released the results of the Mobile Money Study, which evaluates trends in the mobile environment being discussed online. The Study found that Nigerians were particularly vocal online when it comes to discussing innovation, with Nigerian posts accounting for 38 percent of the total Middle East and Africa online discussions.